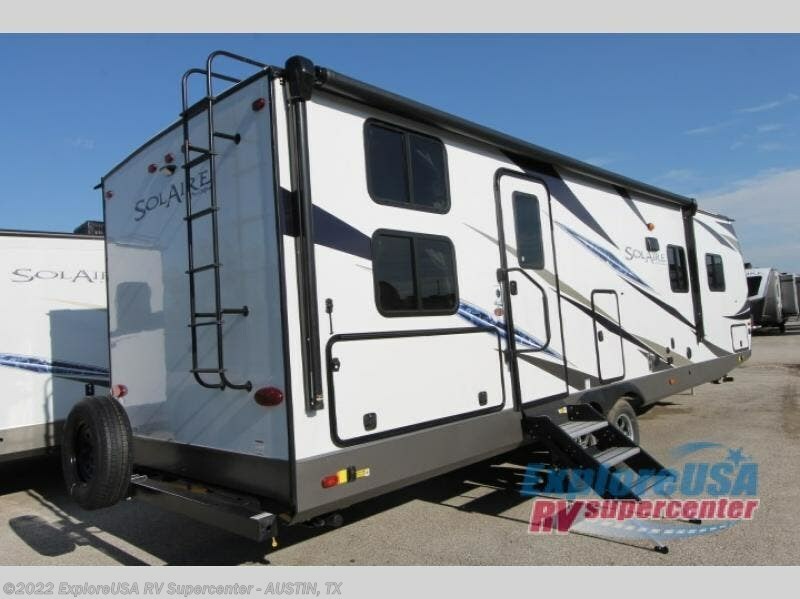 Are you looking for a comfortable, spacious travel trailer for your family's next camping trip? 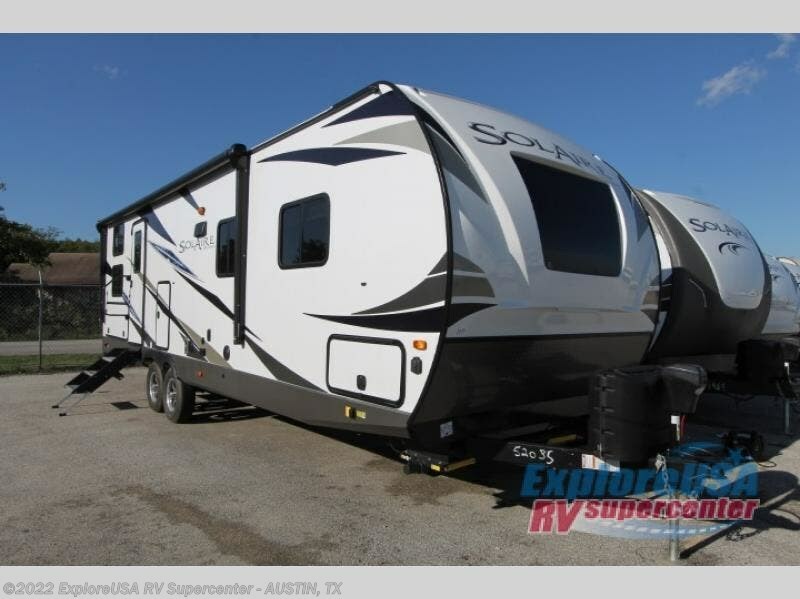 Look no further than this SolAire Ultra Lite that sleeps ten! 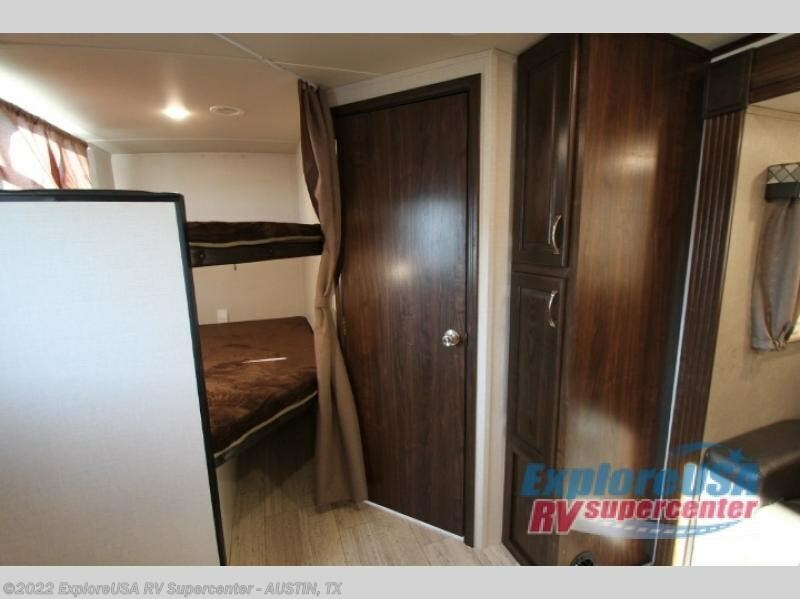 You'll love the front bedroom with a king bed and two wardrobes to hang your clothes. 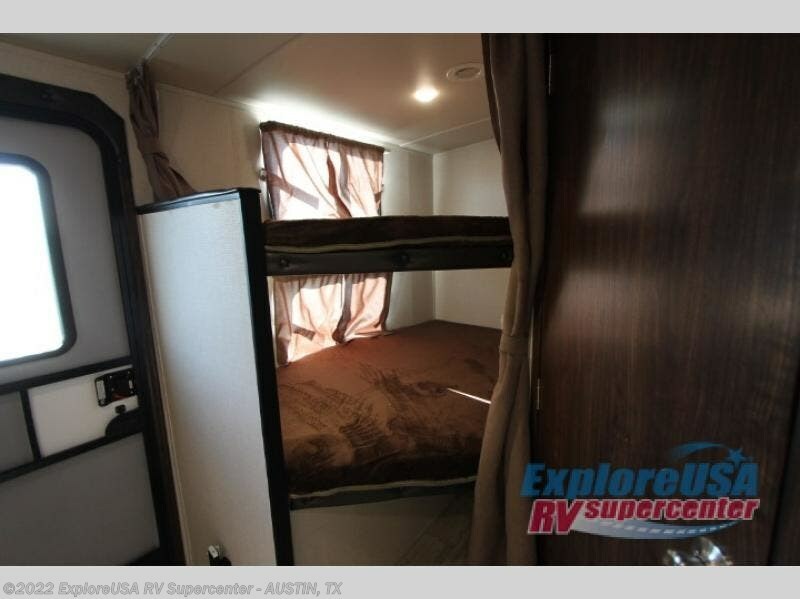 Let the kids choose who gets top bunk, with double bunk beds in this unit. 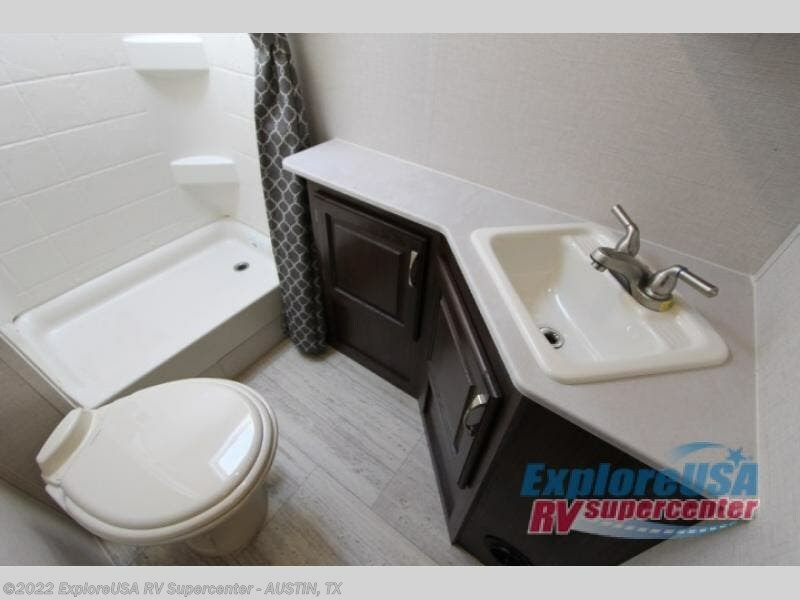 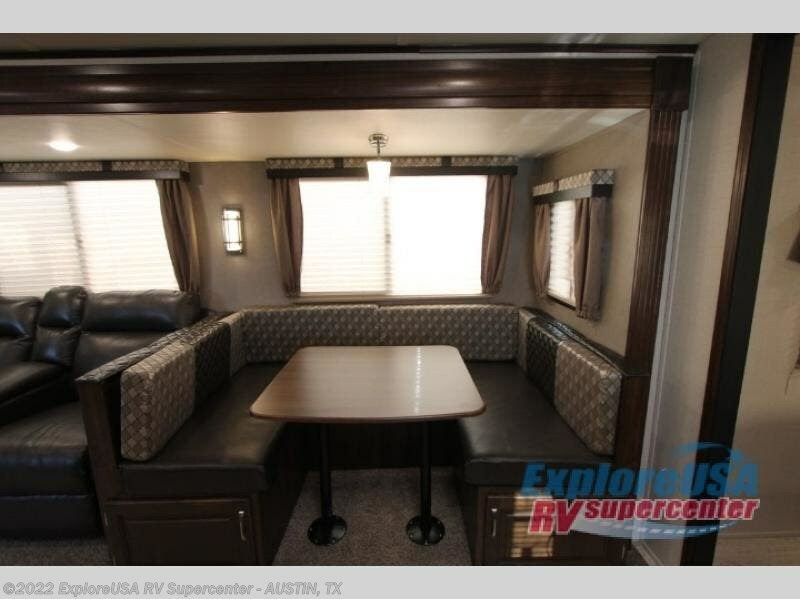 There is also sleeping space on the sofa sleeper in this trailer and on the U-shaped dinette. 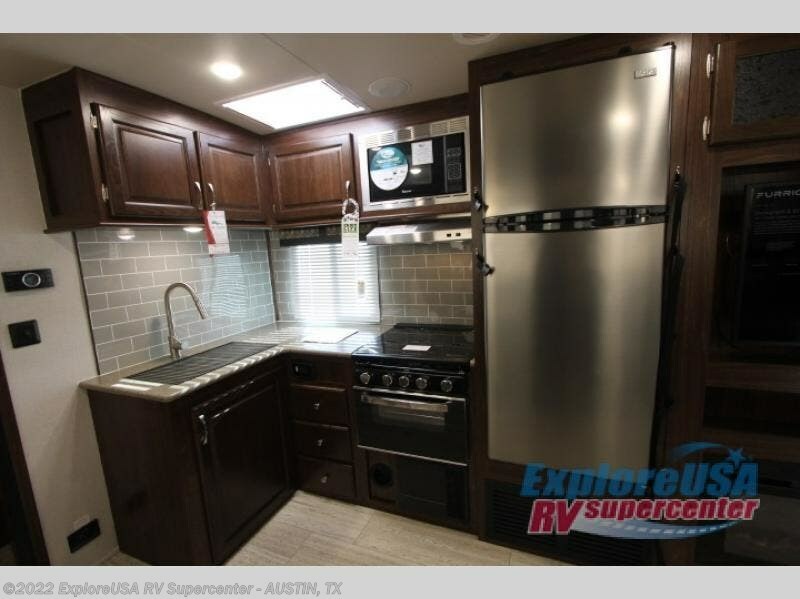 This model includes a two burner cooktop, and microwave, plus an outdoor kitchen to clean and cook the catch of the day. 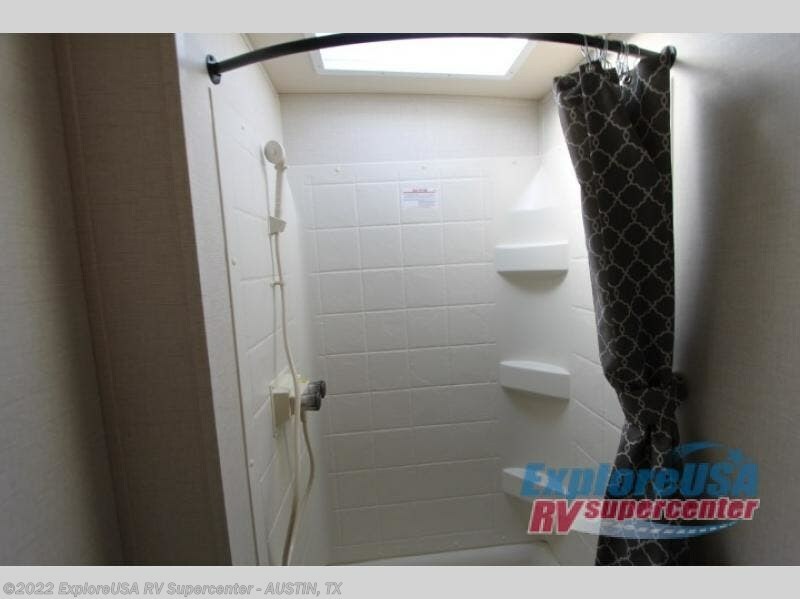 After a day of hiking, clean off in the rear corner bath that features a skylight above the shower in this unit. 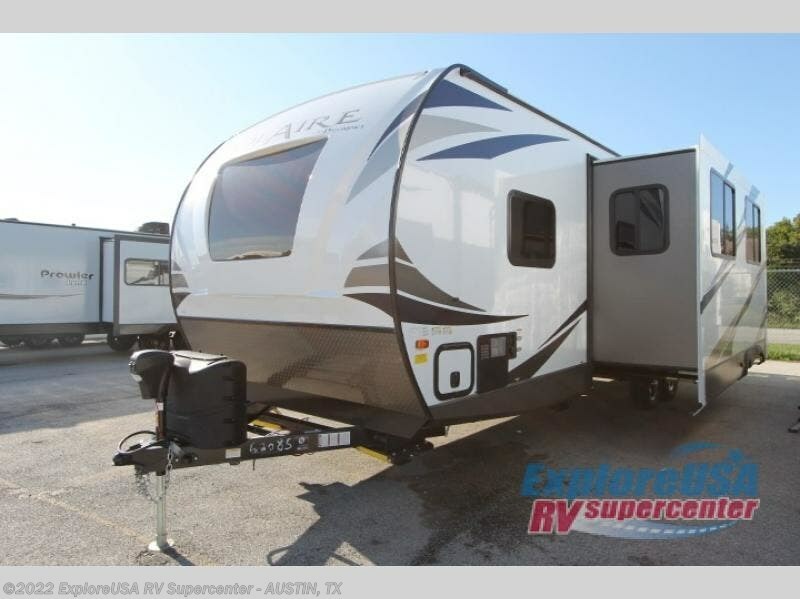 Adventure and fun is calling your name with this SolAire Ultra Lite travel trailer! 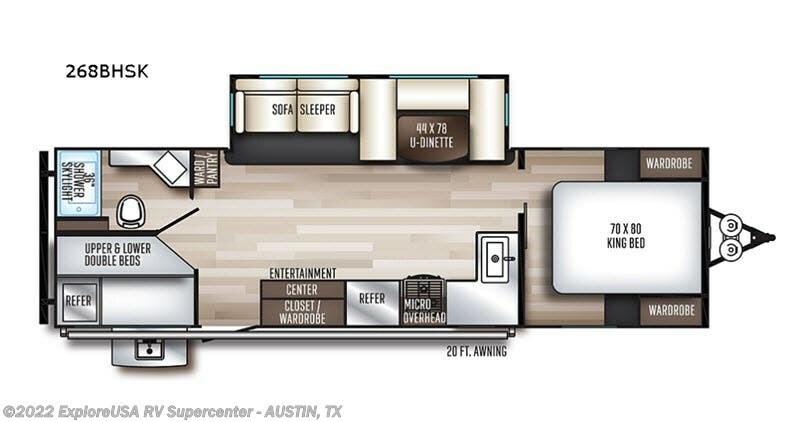 If you enjoy superior amenities that are revamped and up to date, or if you enjoy floorplans that have been designed with your needs in mind, then the SolAire Ultra Lite is the perfect match for you. 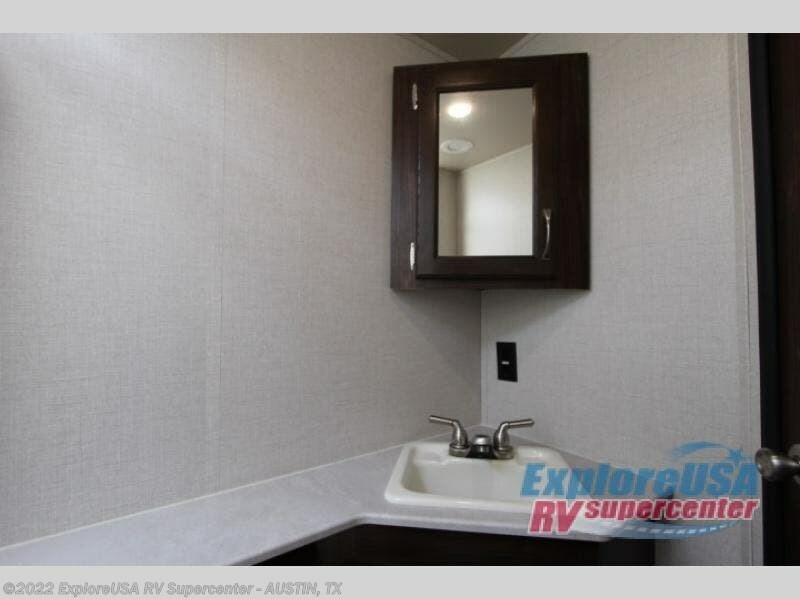 Because Palomino has included LED lighting throughout each unit, the whole atmosphere is kept bright and fresh. 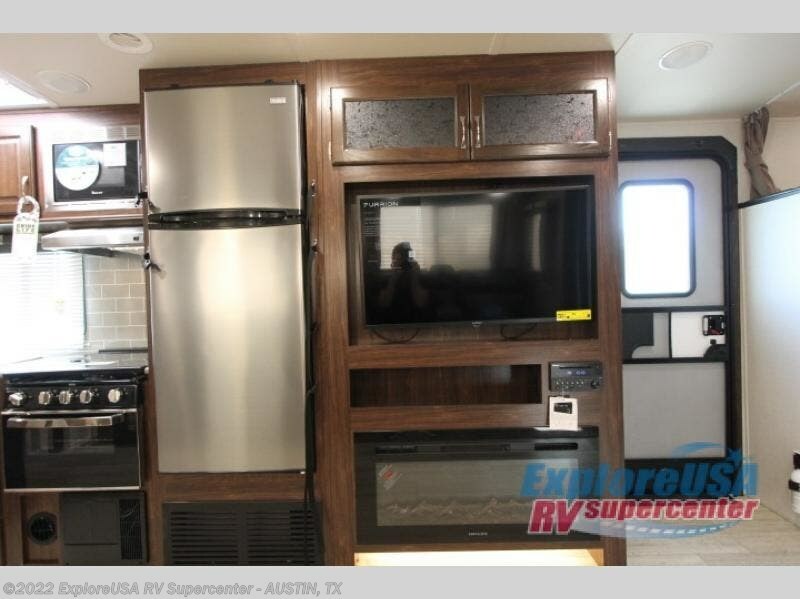 These Ultra Lite travel trailers include a Furrion HDMI stereo with DVD and Bluetooth capabilities, which allow you to stay connected to the modern world while you camp. 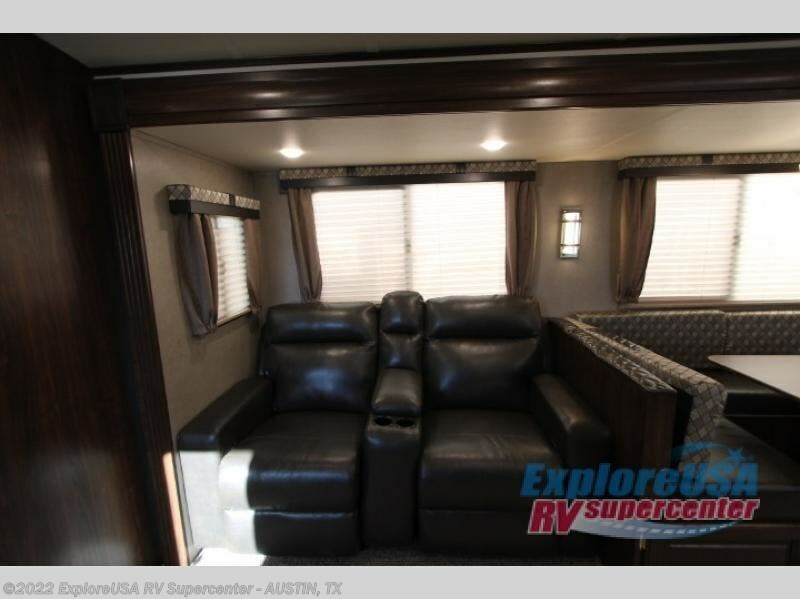 You will find that one of your favorite ways to conclude each day will be to spend it outside underneath the electric awning with LED lights as the sun fades away. 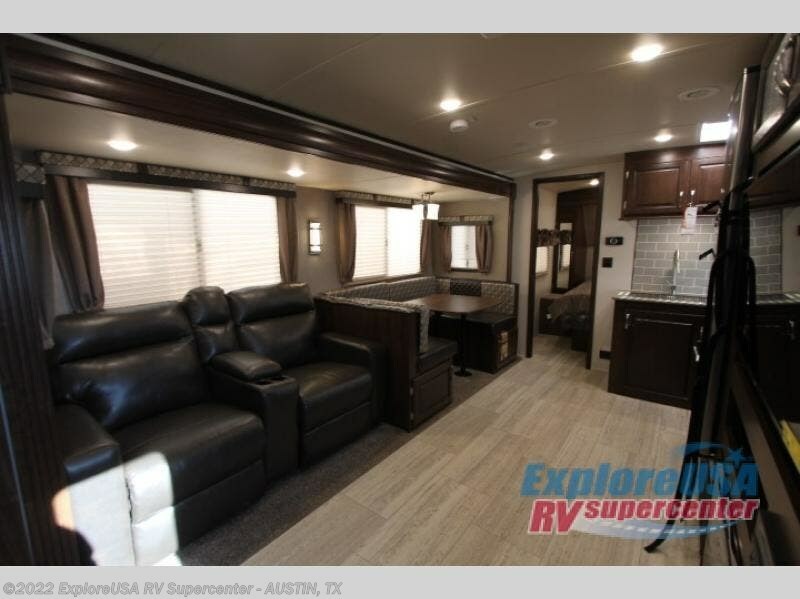 Choose the optional GT3 Package, and you'll enjoy solid surface counter tops throughout, a bedspread and pillow combo, roller night shades, plus more! 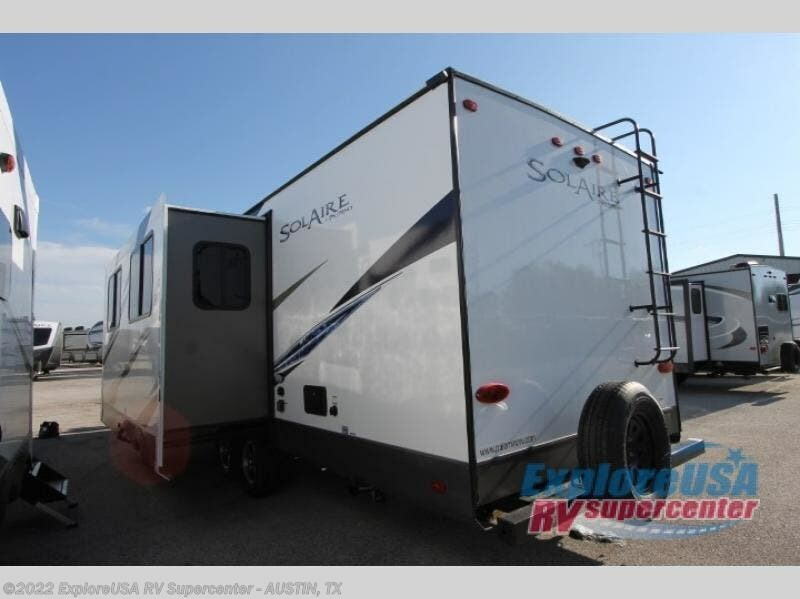 Choose on one of these SolAire Ultra Lite travel trailers today for your next adventure! 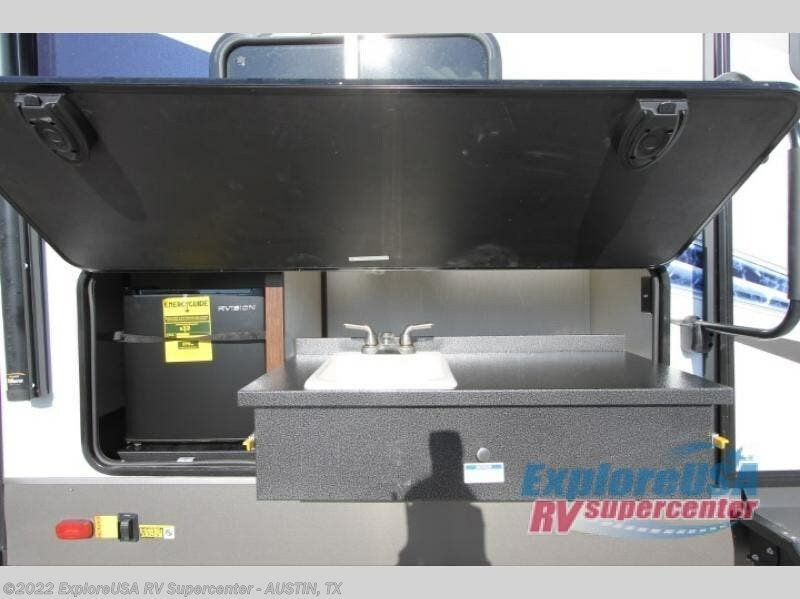 Check out Stock # K2659 - 2019 Palomino Solaire Ultra Lite 268BHSK on palominorvsource.com!